If you’re reading this, there’s a pretty good chance you’ve purchased one of our camera straps … and so we say thank you. 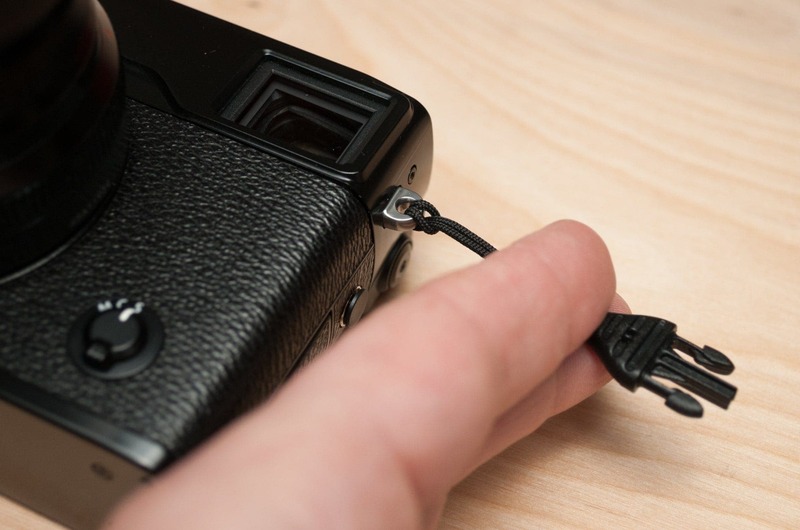 Here are some helpful articles to read before installing your new camera strap. If you have any questions whatsoever, contact us. We love to hear from our customers and we’re always happy to help. *If you’re just installing Simplr Split Rings, not an F1 camera strap, you can skip straight to 1:07 in this video. 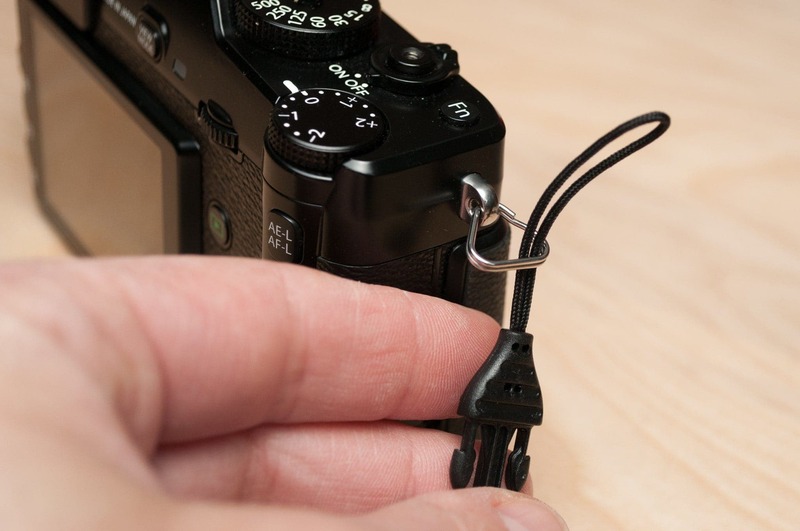 Mounting a camera strap with split rings is just like putting a key on a keychain — but instead of a key, it’s a camera. Situate your F1 so the adjustment tab is in front of your body when the camera strap is fully-extended, and the camera is worn sling-style. Some people prefer to wear the camera on their left, others to their right. Do whatever feels most comfortable for you. Double-check the orientation of the strap to make sure you’re not installing it backwards or inside-out. 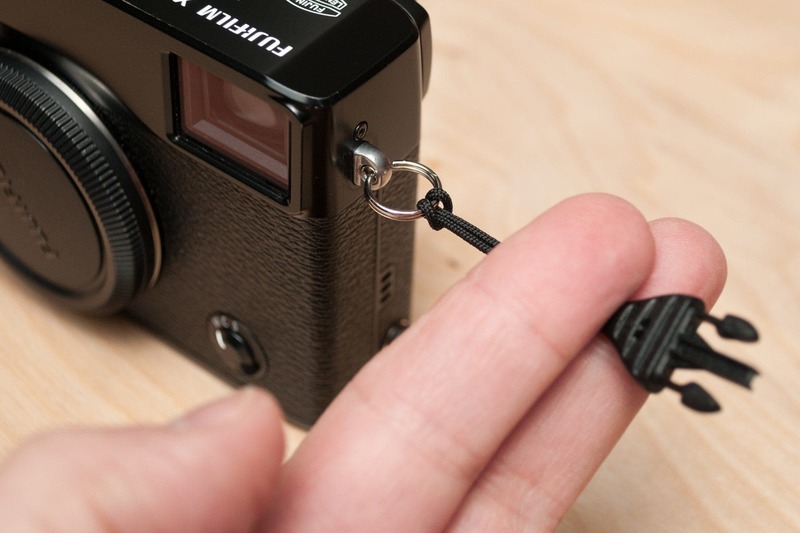 Pry a small gap in the split ring, just wide enough to feed the end of the wire through the lug on your camera. It’s unlikely you’ll need any tools for this; your thumbnail should suffice. 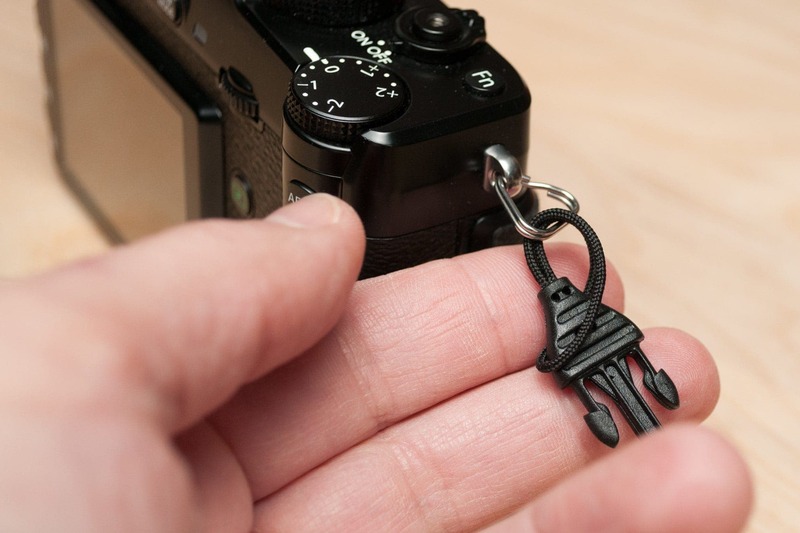 Turn the split ring until the entire wire has passed through the lug and it springs back together (just like a keychain). 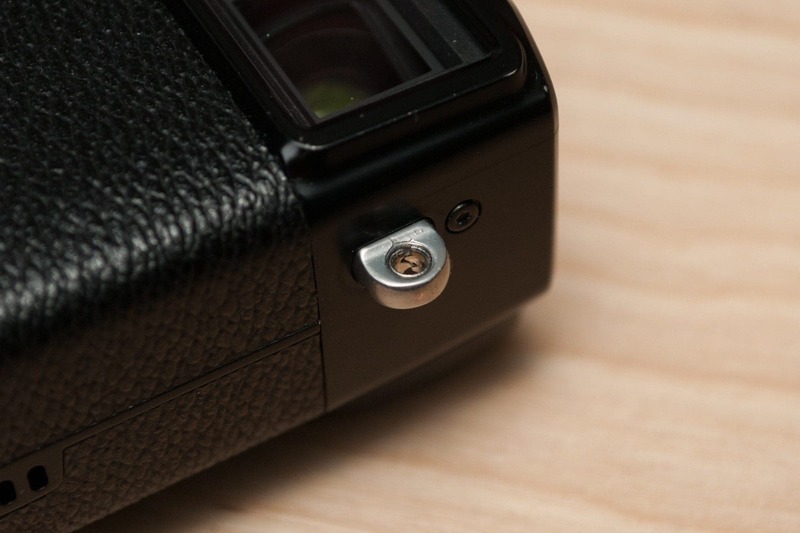 Unless you’re 100% certain that your camera has smooth lugs, it’s best that you attach Mini QD Loops via split rings. 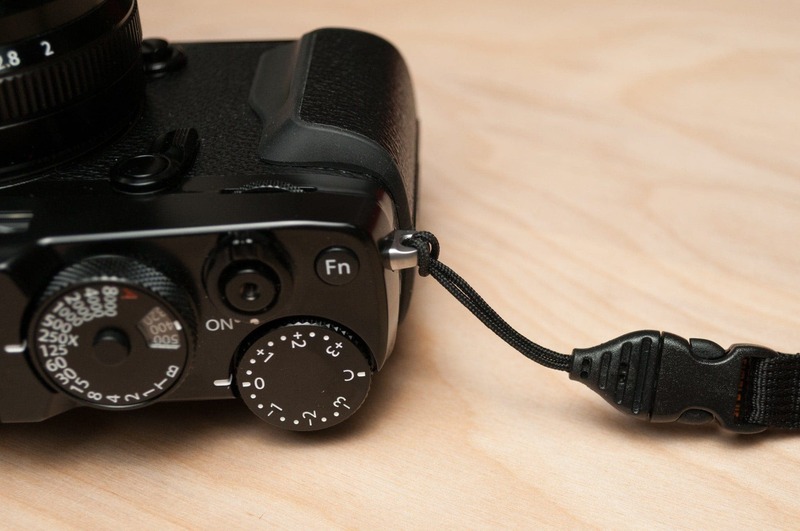 Furthermore, we suggest that you use ours, as they’re uniquely designed to work beautifully with the cord loops (much better than the triangular ones). 1. Thread the cord loop through the split ring. 2. Thread the mini quick-disconnect through the loop. 3. Pull the mini quick-disconnect to cinch the loop. 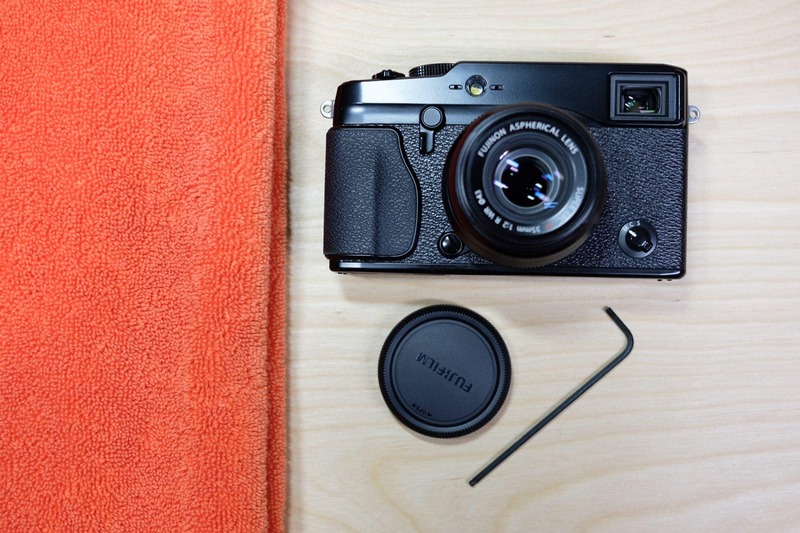 If your camera came with triangular split rings, we strongly recommend replacing them with round ones. We make some really excellent round split rings that work perfectly with Mini QD loops, and don’t get twisted up like triangular split rings. 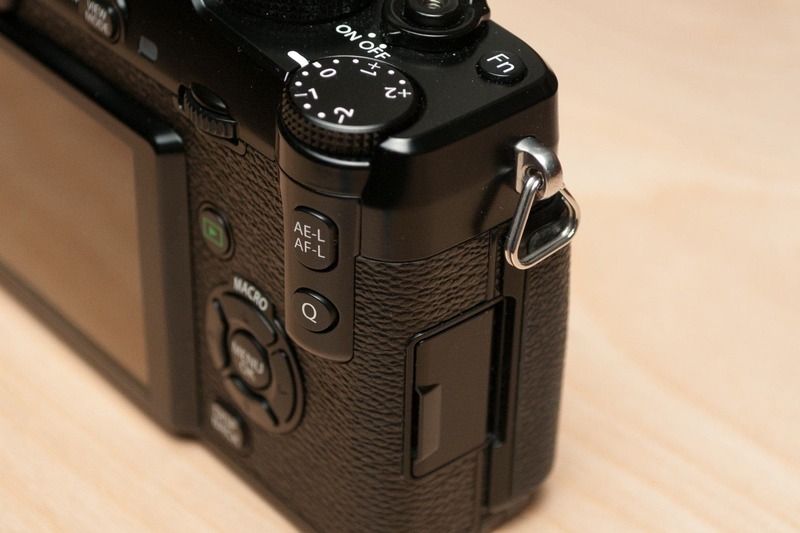 First, read this post: Strap Lug Inserts: What are they and why should I care? 1. Thread the cord loop through the strap lug. It might help to use a piece of string or dental floss. 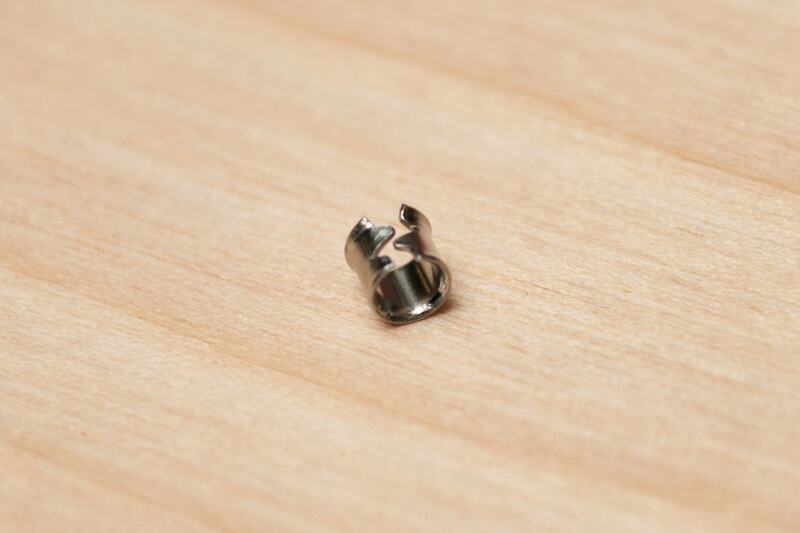 Strap lug inserts are hardened metal “sleeves” located inside strap lugs. They’re meant to reduce metal-on-metal wear caused when hard steel split rings rub against softer metal lugs. 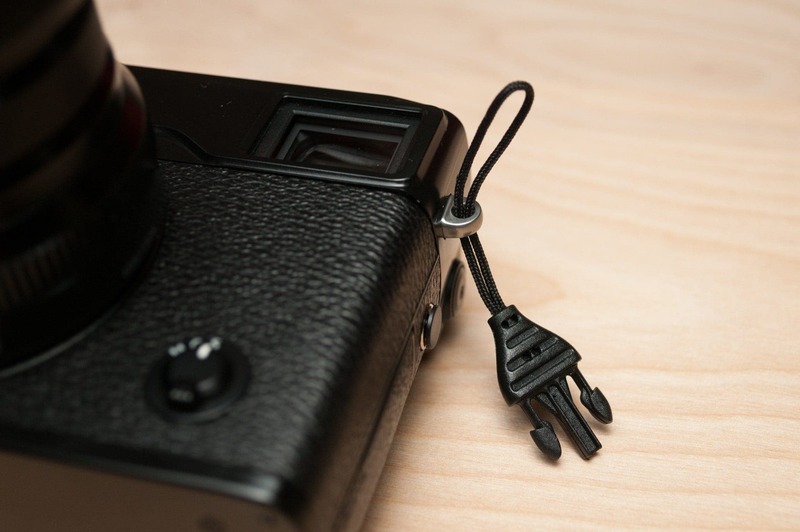 Some cameras have strap lug inserts and some don’t. 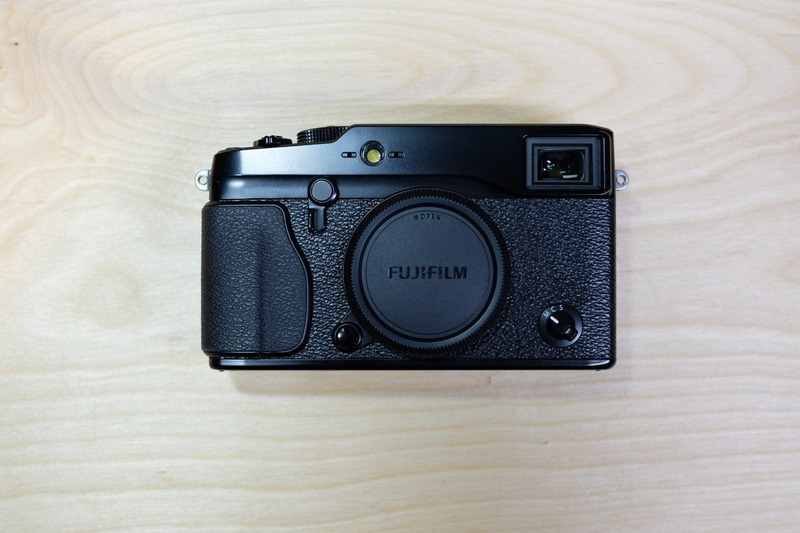 Fujifilm cameras are notorious for having potentially jagged strap lug inserts, and all modern Fuji cameras including later production X-Pro1 and X-E1 have them. 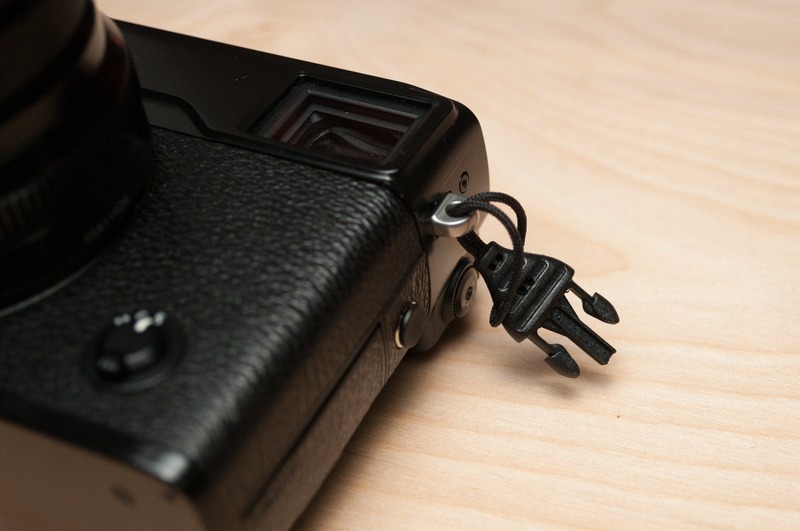 If your camera has jagged strap lug inserts (like the ones shown above), and you attach the camera strap cord loops straight to the camera (without split rings), they can prematurely wear the cord loops. Try to carefully remove the inserts as discussed here: Removing Strap Lug Inserts from Some Fujifilm Cameras. Purchase extra Mini QD Loops, and check them for wear often. 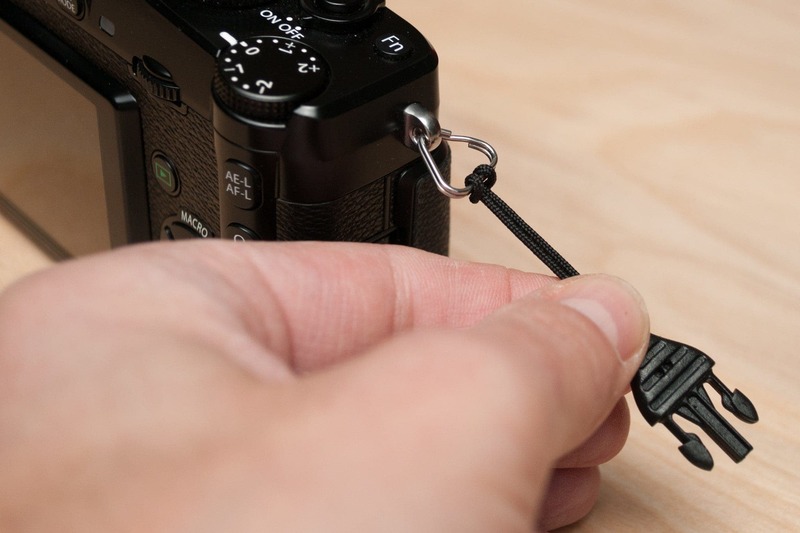 If you’ve got a Fujifilm camera, and you’d like to attach your Mini QD Loops™ directly to your camera, you might* be able to remove your strap lug inserts to reveal a smoother point of attachment. Please note that if you scratch a strap lug during this procedure, you could very easily make them sharper than the strap lug inserts you just removed! *Date of manufacture, environmental and other factors all play a part. 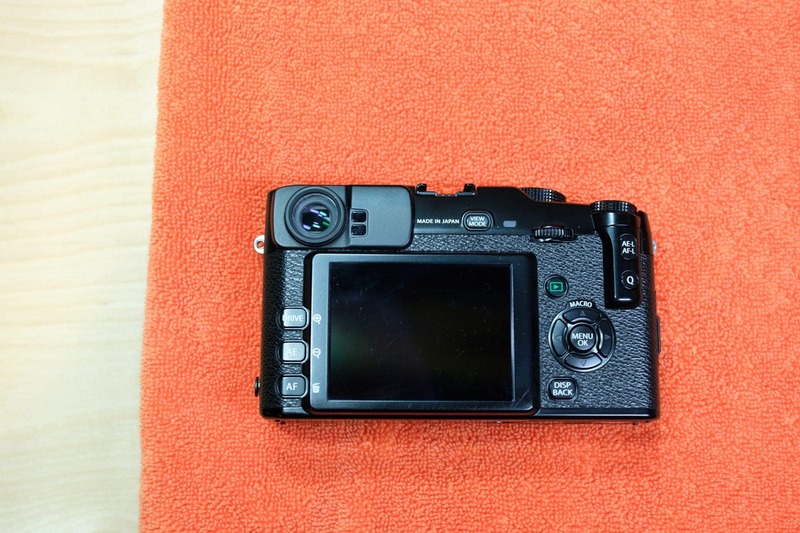 Cameras that are exposed to the elements are particularly susceptible to galvanic corrosion which can “glue” metal parts together. Use your best judgement, and know that we’re not responsible if you damage anything. 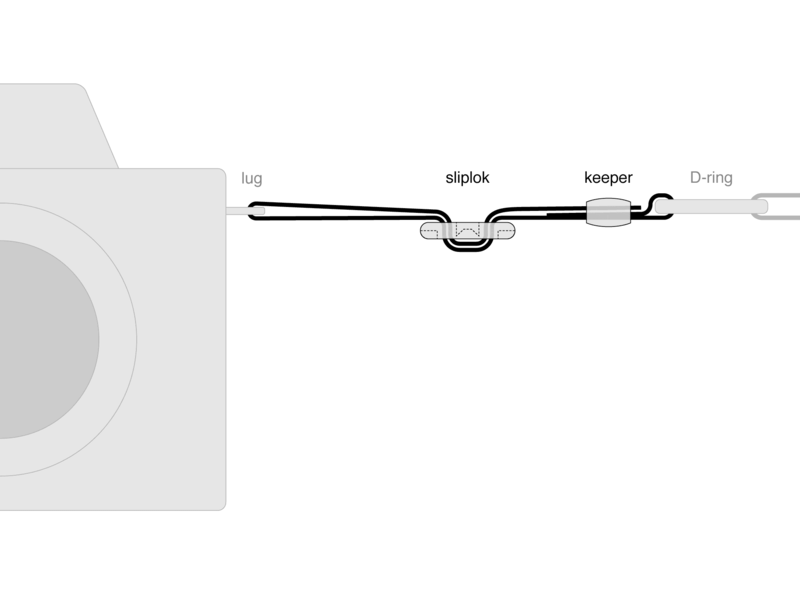 Although we use Optech USA Mini QD Loops, this procedure is applicable to other cord loop connectors, like Peak Design. 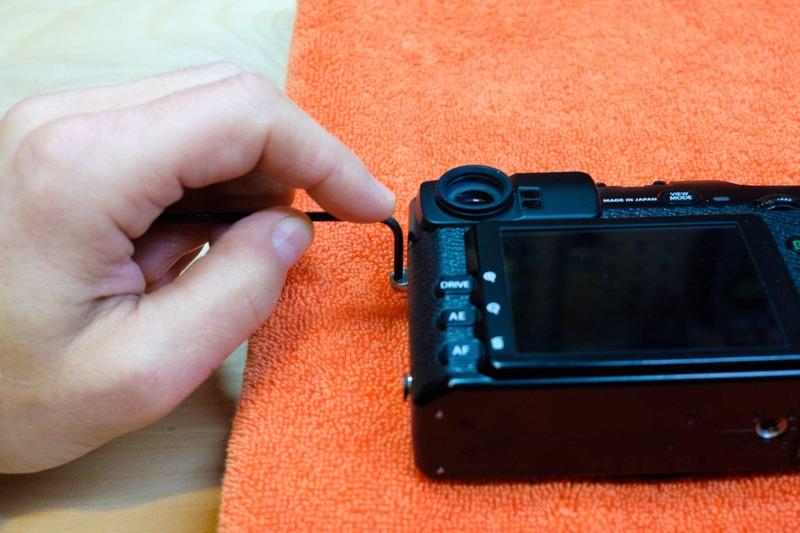 Remove the lens from your camera. Put on the body cap. 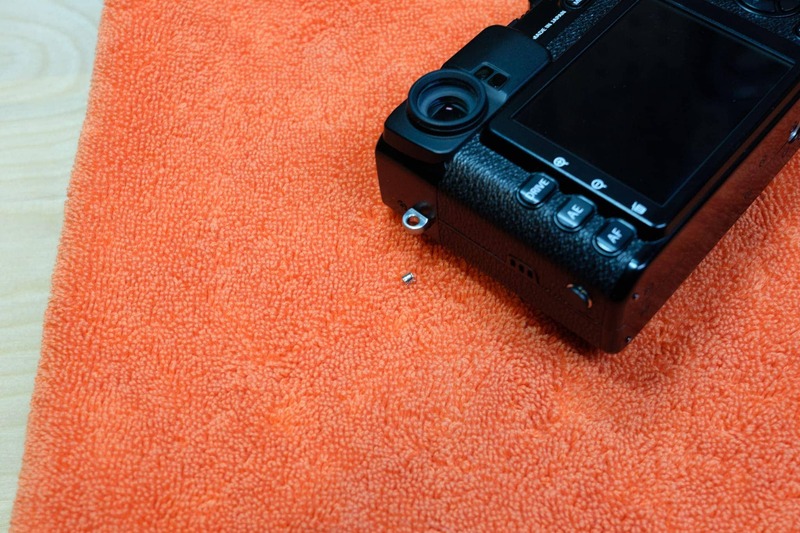 Lay the camera face down on the bath towel. 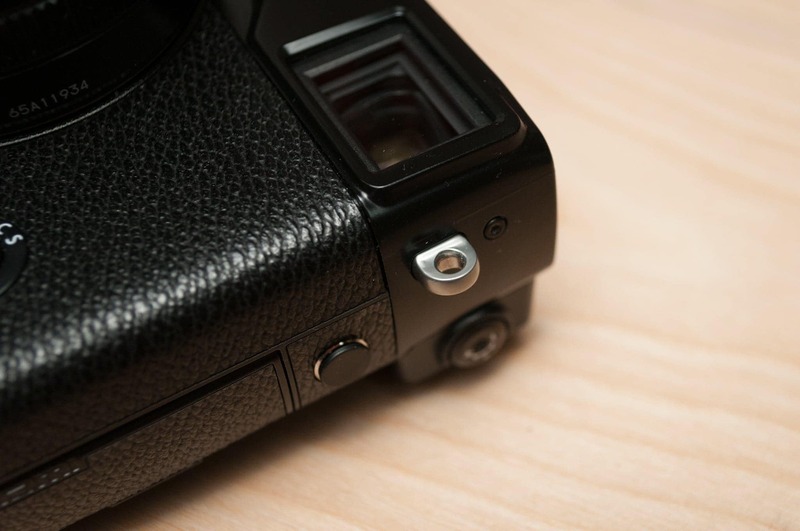 Use the 2.5mm hex key to push the strap lug inserts out, from back to font. This might take a medium amount of force, but shouldn’t require the use of any additional tools. Repeat on the opposite lug. Keep them in a safe place, so you can re-insert them if need be. Examine the strap lugs to make sure you haven’t left any scratches. Run a piece of thread through the hole, pull it tightly and drag it around the lug repeatedly to check for burrs. If you can saw through the thread, it will eventually saw through the cord loops!